Single detached house with spacious southern backyard (back onto quiet treed Victoria Park) for relaxation and summer parties. No neighbours to the front or to the back. Priced below most newer strata condos and townhouses of this size. It is a smaller but cozy home. House could use some updating and repairs but it has double glazed windows. Large driveway could fit RV or 3 to 4 vehicles. 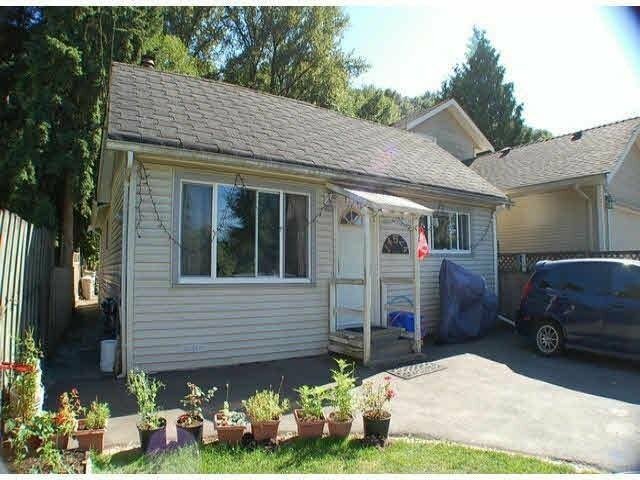 Ideal for 1st time Buyer with money to update or as investment and build your future new home. House is on septic tank. Please drive by 1st and set up appointment for viewing. All measurements are approx. and to be verified by buyer if deemed important.